From an environmental perspective, Kernza does all the things that annual wheat does not. It sends a cloud of roots as deep as 10 feet into the ground. That underground network holds soil in place, which prevents erosion, and can quickly absorb water and nutrients. According to one study, second-year Kernza reduced soil moisture, and it reduced nitrate leaching by 86 percent or more compared with annual wheat. Moreover, because Kernza does not die after harvest, the plants grow year-round and continue to absorb carbon. 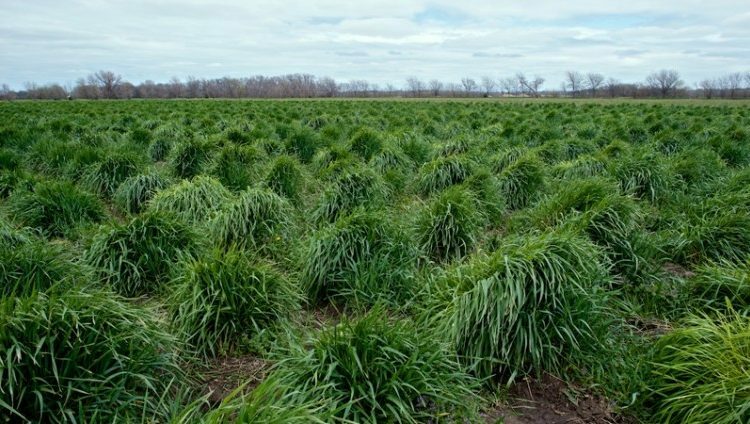 Studies looking specifically at so-called carbon sequestration by Kernza are not available, but perennial grasses consistently have been shown to increase soil carbon. I was interested in the brewing dimension of Kernza, so I contacted Hopworks and spoke to Eric Steen. It is early days, so the brewing potential is inhibited by availability; breeding is still underway, and the quantity of grain is nowhere near enough to enter the commercial brewing stream. Hopworks used an unmalted version of Kernza, although Patagonia Provisions is looking into malting and Hopworks is “very interested in those results.” The problem now is that the kernel is still too small to malt. Nevetheless, unmalted Kernza can still be used as a minority of the grist. Hopworks used 15 percent Kernza in Long Root. “We tried a few different experiments where Kernza ranged from 5-20 percent and we like the way it sat at 15 percent,” Steen said. It was “clearly present in the beer without being over the top.” Like wheat, it can create a stuck mash—though this is not a problem at 15 percent. Also like wheat, it helps with head retention. Hopworks used a single-infusion mash at relatively low temperature when they made this beer. 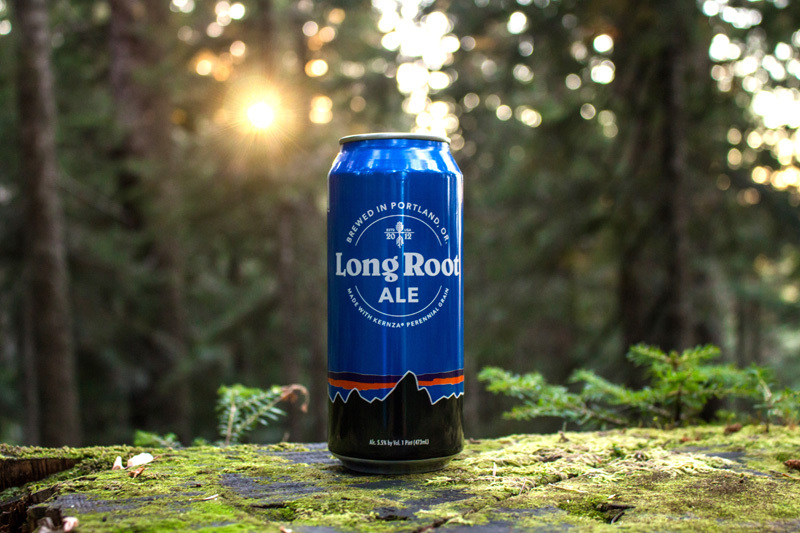 Long Root is a hoppy pale ale, which makes pulling out the contribution of the grain a challenge (for me, anyway). There is a slightly unusual herbal note in the nose, and a flavor I would associate with wild rice on the palate; you wouldn’t confuse it for rye, but it’s related (“mint” springs to mind). The hops may account for part or all of this; though in any case it’s a rich, lovely beer. The Kernza’s a nice angle, but people will continue to buy Long Root because it tastes good. For the foreseeable future, Kernza is likely to appeal mainly to breweries with an environmental focus. Since its inception, Hopworks has used organic ingredients; they are intent on reducing water use and source nearly all their grain from the region. Customers always appreciate these goals, but the true test is taste. If Kernza and other perennial grains like rice and sorghum are going to make it into the mash tun, the beer is going to have to taste good. Farmers have been selectively breeding brewing barleys for centuries, trying to maximize flavor, size, and yield, so the Kernza experiment has a long way to go. But, based on the first beer out of the gate, the experiment looks promising.